Eagle Automotive Service in Littleton, CO is the trusted choice for Kia auto repair and services in the area. 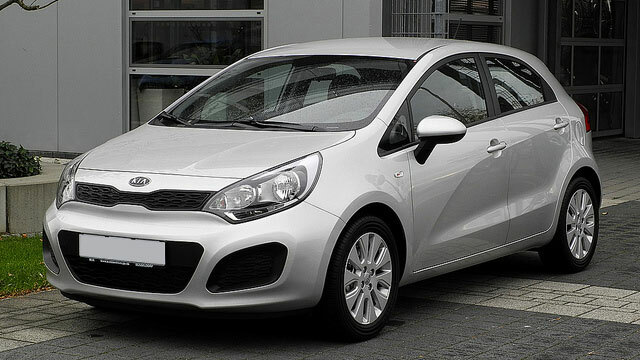 Kia is a high quality vehicle that offers great performance, low emissions, and a stylish appearance. When you own a quality vehicle, you need an experienced auto repair shop that you can trust to handle your vehicle with care. At our Littleton auto repair shop, our ASE certified technicians are specially trained to work on all makes and models of Kia. Don’t’ settle for just any auto repair shop when it comes to a vehicle you’ve invested significant money into – take it to the experts. Whether your Kia is due for scheduled maintenance or needs a repair, we can help. We understand that keeping your Kia in top condition is a priority. If you’re experiencing a problem with your vehicle or the check engine light has turned on, we suggest bringing your vehicle into our shop at the first sign of trouble. Our Littleton auto repair shop has state-of-the-art computer diagnostic equipment to accurately diagnose and repair your vehicle. When you bring your Kia into our shop, we run a full diagnostic on your vehicle to determine any repairs or services that need to be completed. Our staff takes the time to go over our recommendations with you and discuss various options for you vehicle. Our goal is to get you back on the road safely and quickly, all while boosting the overall performance of your vehicle. If your Kia is due for a service or repair, bring your vehicle to our experts at Eagle Automotive Service. We look forward to servicing your vehicle soon!